Employee Assistance Program (EAP) can provide many benefits to the workplace. The cumulative stress experienced by employees in any job function presents unique challenges for their well-being and ability to do their jobs. Workplace stress can lead to family problems, sleep disturbance, depression, anxiety, substance abuse, and workplace performance issues. Our EAP is in place to provide support to employers by helping ensure that their employees have the resources they need to live their life successfully. Our mission is to provide support for employers and genuine and authentic therapy services for employees. We offer a unique, boutique style of services to help address challenges related to work stress, LGBTQ, people of color, family, and interpersonal issues that may be impacting their well-being and work performance. Individual therapy will be provided for each employee on a week-by-week basis. Employees will be offered (1-12 sessions) to address their interpersonal, work, and family stressors. We will provide a safe and confidential environment to guarantee privacy for all employees. Individual therapy will be offered 7 days a week. Follow up services will also be provided. Each employee will be offered the potential to extend their individual therapy services within MTR with their preferred clinician. Training and support for management, supervisors, and other leaders regarding the use of effective and motivational management skills and tools. Leadership member will be educated on identification of troubled employees, EAP referral process, and consultation with the EAP. As we know many employees have challenges with finding time for self care. Our individual sessions will also be offered virtually for employees who may have challenges related to attending therapy in person. Eye Movement Desensitization Reprocessing is a service provided to address recent and past events that continue to cause a disturbance within individuals. EAP clients will be able to engage in EMDR work on a case-by-case basis. For more information about EMDR please go to our EMDR page. • Psychoeducation focused on mindfulness, tools for workplace stress management, substance use, and self-care. • Support services for families. All EAP records will be guaranteed with complete privacy and protection. All employees will be ensured that their information will be kept safe and that our goal to provide an open and trusting environment for everyone. Pricing varies. 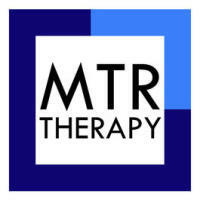 For inquiries please contact Dante Barfield at dante@mtrtherapy.com . Please use the following contact form to submit any EAP referrals.